DartFrog authors now have the opportunity to appear on radio shows in the top 45 US markets, as well as regionally/nationally syndicated radio shows. 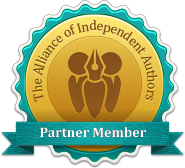 Each author is hand pitched to the shows that best fit you and your topic. You will not be booked on college radio shows, internet radio shows, overnight radio shows, low listenership radio shows, shows in the middle of nowhere, and shows on the outskirts of major markets. You will only be booked on the major shows that broadcast to the heart of the marketplace. DartFrog authors will receive professional media training before (and throughout the duration of) your radio campaign. Your media trainer will conduct a practice interview just like you can expect on your real interviews. Message creation and content strategy development are also part of the deliverables, because radio interviews are about more than your book. Listeners want to know the story behind the story.